Hardcover, 5.25 x 7 in. / 112 pgs / 36 color / 10 bw / 4 duotone. 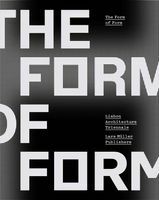 Edited with Introduction by Kathrine Rinne. Text by Jennifer Cambra, Erik Bloom, Charles Goodnight. The California Delta is the hub of the complicated water infrastructure that serves much of the state. The landscape is rife with tension--both historically and geologically--in the interplay between water and land, now heavily altered by human intervention. The delta is currently encountering a new crisis: climate change, which promises to disrupt the levee system currently in place and the delicate balance of fresh water and salt water. 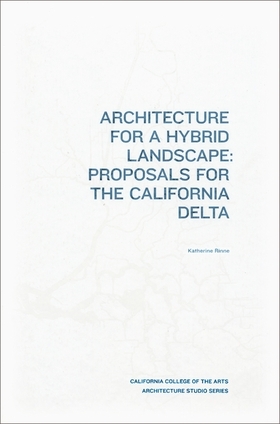 In the face of this highly unstable situation, Katherine Rinne asked the students in her 2007 Architecture for a Hybrid Landscape studio course at the California College of the Arts to design a hypothetical new California Water Research and Interpretive Center facility on a delta site. Architecture for a Hybrid Landscape showcases the students' innovative designs, along with essays, artworks and photography. FORMAT: Hbk, 5.25 x 7 in. / 112 pgs / 36 color / 10 b&w / 4 duotone.